At check-in ask about the amenities that concern you – quite room, low or high floor, close to ice machine, close to (or far away from) pool or gym etc. Rooms are usually assigned by a computer system in advance based on room type and priority but if you ask at check in for something very specific – and ask nicely – usually it can be easily accommodated. It is better to ask in advance than to get to your room and then try to change rooms later once your keys have already been assigned. Check the room before you unpack anything. A quick walk checklist includes flushing the toilet and running the water in the bathroom sink to make sure all is functioning properly; opening the fridge, if there is one, to see if it’s cold; taking a quick survey of the bed, linen, pillows to make sure they look clean and freshly changed and turning on the TV. The last thing you want to do is unpack (especially if you are there for a several days) and then re-pack to change rooms if something is not right. Make yourself comfortable. You are paying to stay, so do not be afraid to ask for something (within reason) that would make you more comfortable. If you do not like the pillows that are on the bed call and ask for another type. You would be surprised how many places have a variety of pillow types that are available on requests. Want an extra blanket? Ask. Tea drinker? Ask for a kettle. Many hotels have electric kettles on request. If you forgot your charger (of any type) its likely that one has been left in the lost and found unclaimed and is now in the hotels stash. The bottom line is you don’t know until you ask and all the staff can say is no. (But if they are trained well they will do their best not to). PS. Using the mobile apps of each individual hotel chain also has great advantages like early check in, special requests and more. But that is a whole other post. PPS. We have also written posts about using loyalty programs to your advantage and tips for those who tend to forget or lose things. 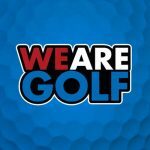 We, Jeff and Tara Ciecko of CK Golf write two blogs, one is our 19th Hole Blog where we share personal experiences and the other an Industry Blog where we comment on general business and internet marketing best practices, sales strategies and give golf industry related opinions. We have owned CK Golf for 10 years and provide marketing, social media and business services to the golf and other industries. As of August 2016 our life and our business have been ‘location independent’. If you have any questions about what we do or comments/suggestions about where we are, or happen to be in the same location as us please reach out and contact us anytime.